Czech to approve „2nd Amendment“ as a first Country in Europe? The campaign of the Czech is moving forward. In the Czech Republic the Czech Parliament was discussing before a final vote about constitutional right to keep and bear arms on Wednesday. The change in legislation required 120 votes, so the proposal was passed with 19 votes to spare. Next step is to get the proposal through the senate, but the odds are stacked considerably better to favour civil liberties than in the parliament. The EU law overrides the constitution of a member state when there is conflict between European law and the law of Member States, European law prevails; the norms of national law have to be set aside. According to EU at least. Many of the member states do not see this as black-and-white as the EU, and reserve the right to interpret legislation when there is a conflict. However, we have observed during a last year and half that passing an EU directive gets that much more complicated when it is in violation of the national law. For example many member states (France excluded!) have constitution that reserves a right a right to have private property, and seizing it without compensation gets really challenging legally – as it should, because it would be called theft if anyone but the government would be doing it. This means that due to the campaign by the Czech, come the next review of the firearms directive, scheduled 5 years from now, the European commission has one more hurdle to overcome before confiscating your private property without compensation. 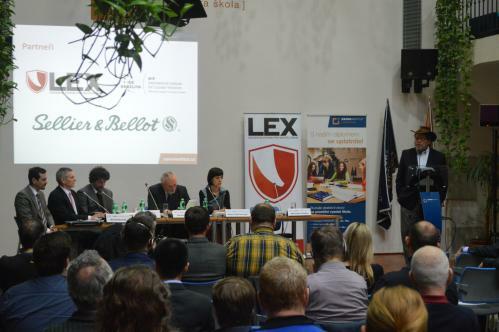 The campaign for the RKBA in Czech is a shining example on how the national legislation and civil liberties can be enhanced when the officials and the firearms enthusiasts who are subject matter experts work together. Well, that does prove a point, doesn’t it? According to our intelligence the first firearms enthusiasts in France have been already asked to surrender (practically without compensation) their semiautomatic belt feds, even though nobody used a legal semiautomatic belt fed (or any legal gun for that matter) in the recent incidents in France. If an item, like the machine gun, has been bought and paid for legally, the official Firearms United opinion is that it is your property, and should not be messed with. If someone takes it away (assuming that no laws were broken by the permit holder), and somehow gets away with it, that is called theft, whether it is legalized or not. It is clearly fundamental that National governments must stand up to and defy the ‚over riding‘ EU law or admit to no longer having sovereign state power. The Czechs and other newly pressed/ınduced EU member states in eastern Europe know well the implications of allowing centrist control from the Soviet days and so fight more vigorously than states in the West. We must encourage them to be steadfast and our politicians to demand more say in the interpretation of Directives in their own Nation states. I foresee at least a decade of lobbying by firearms collectors and shooters in the EU. Thanks Fırearms Unıted for your much appreciated work, please keep it up. It is time to TOTALLY IGNORE the EU communistic rules and live life as one nation wishes for its people. I congratulate the czech people and politicians for their stand against the communist EU politicians. Enough is enough. Show them the finger and keep your guns. WE SHALL NEVER GIVE UP ON OUR RIGHT TO SELF DEFEND OURSELVES. DON’T EVER BE AFRWID OF THEM. They could threaten us with fines, jail, but if it comes to that , then be it. WE WILL NOT SURRENDER.